← Spider YUCK! If you dare look! Stove Top with Shrooms! So Yummy! 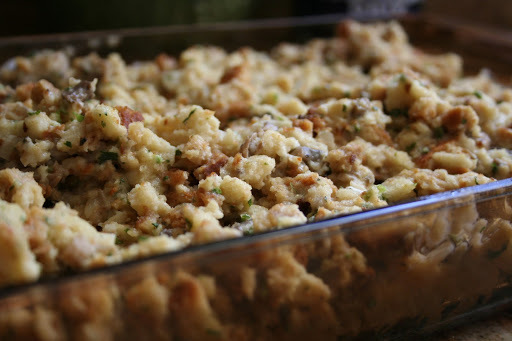 I made an awesome pan of stuffing for our early Thanksgiving dinner with my inlaws (back home in Cinci). I got the idea from Semi Homemade with Sandra Lee﻿ way back when… Only I could not remember what she said to do except add a can of cream of mushroom soup to your stuffing. Saute the chopped mushrooms in the butter. Then add the cream of mushroom soup. Then add the amount of water per packaged directions on Stove Top (or other you use). Then add the stove top and gently mix. Let it sit for a few minutes to soften the bread crumbs. Then I baked in the oven on 350 for about 20 minutes or so, just enough to warm it up really good but not too long to dry it out. It will taste so good, I promise. Everyone loved it and raved about it. 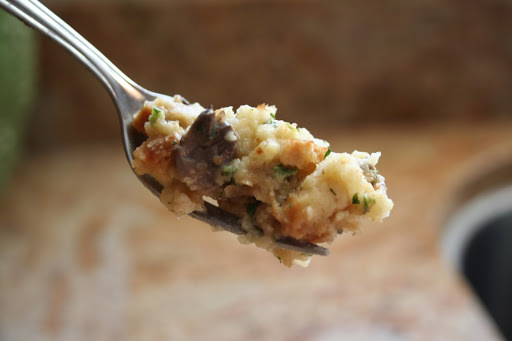 Adding the mushroom soup really adds something special to the stuffing. This entry was posted in Home/Food/Natural. Bookmark the permalink.